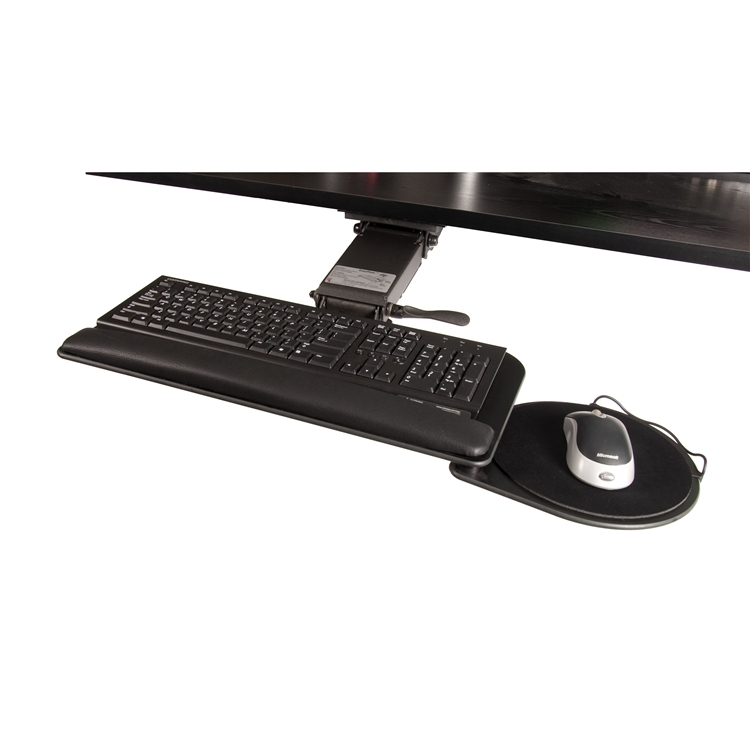 The EasyRiser™ allows the user to make height adjustments by simply lifting the keyboard tray and releasing it at your preferred height. 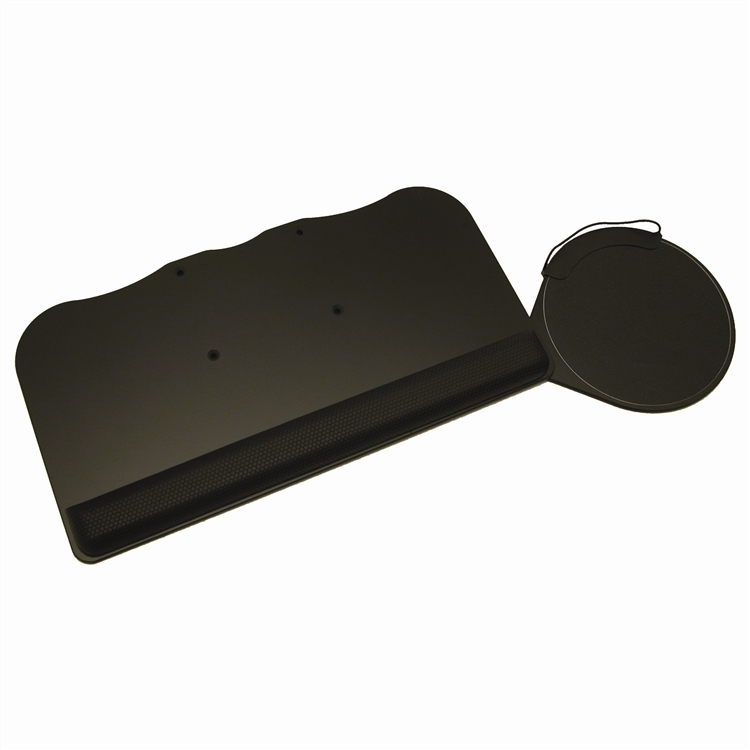 Make tilt adjustments by loosening the tilt knob, re-positiong the tray, and tightening the tilt knob. 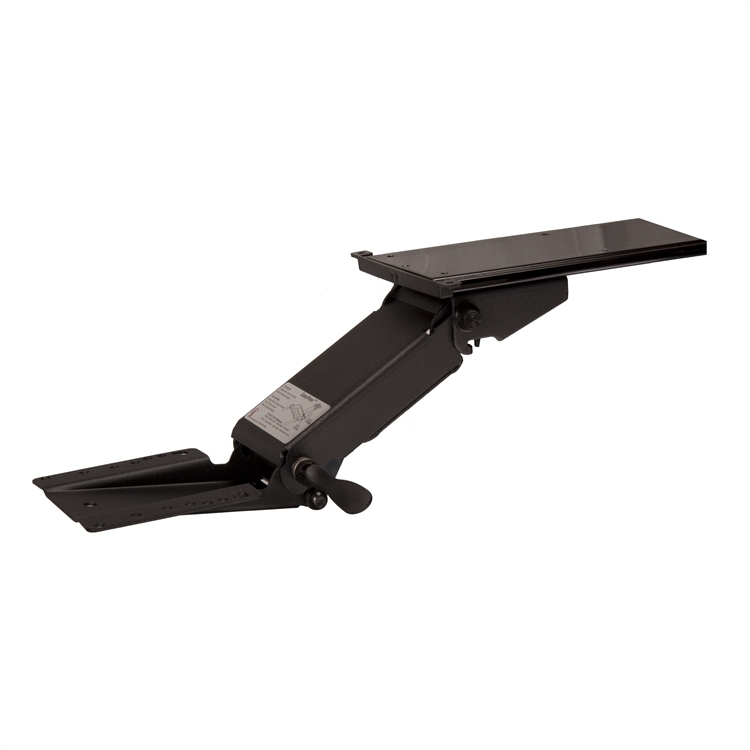 Once set, the EasyRiser™ maintains its height and tilt positions with no slipping or dropping. Our PU20UMBR offers a left or right handed mousing surface that retracts under the keyboard when not in use making it a great application for tight work stations. The EasyRiser™, a long time favourite, pairs well with the versatility of the PU20UMBR platform.